Wow, Prey was fun. It’s definitely got its issues, but it manages to fill a gap in the survival horror genre. There’s a lot of The Thing and Alien vibes radiating from the marketing, but this also muddles what it really is; since those don’t really describe it particularly well after you get a bit further into the story. It’s true that the little mimics do their darndest to keep you on edge during the initial experience; after all, was that coffee cup really there a minute ago? It’s an intense few hours but, from a certain point onwards, mimics are hardly the obstacle or potential jump scare that they previously were – for better or for worse. Actually just for worse. Sneaking about doesn’t become obsolete, but there’s certainly a larger focus on combat which isn’t necessarily all that varied. 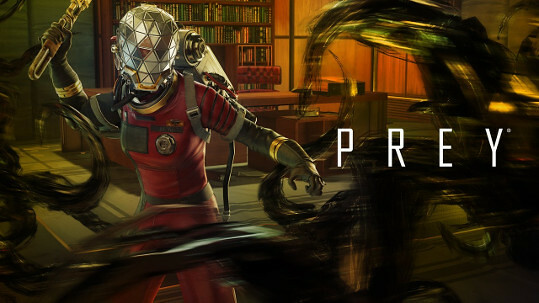 If you thought Prey looked like Bioshock in space then congratulations – you’ve nailed down exactly what it feels like. The Neuromods do a good job of giving you plasmid-like powers, though many of them are passive, like hacking skills, increased health, or being able to lift increasingly heavier things. A little further down the line you get powers that mimic the aliens. They’re much more active in their uses, such as creating electric explosions or turning into coffee cups. It does come with the trade-off of you being less human, and perhaps being attacked by sentry turrets. Prey does a lot of great things and although it does shift genres a few hours in, it managed to keep us on edge almost the whole way through. Its combat is a little naff at times, but it doesn’t get in the way of a thrilling story which is excellently voiced; especially by Benedict Wong. It tries far too hard to do everything. Literally everything. It wants to be cheesy and funny, a smooth spy thriller, a children’s cartoon (for adults), an action game, and an RPG. It’s just too much and it really hampers it. One of the really unclear parts of the game is that you’re always playing as three characters. You pick three of those that you’ve unlocked, and can switch between them on the fly. It’s a little clunky at first and feeds into the RPG side of things, mainly the trinity of tank, damage dealer, and… well okay, not healer, but you get the picture. It sort of works and being able to augment each agent enough to make them play slightly differently means the agent pool is always fairly diverse in how they play. The numbers-heavy RPG side of the game is perhaps its weakest point due to it being such a slog to kill things as you progress. The numbers are more there to artificially make it harder rather than actually add any requirement for skill. However ,you can reduce the difficulty at any point, so all is not lost – but you do have to travel back to your base each time you want to change the difficulty, which is bad. It’s not a terrible game, but it’s certainly not got the same appeal as Saints Row, and it lives and breathes being in its shadow. It’s also done itself a disservice by not being clear about what it is in the marketing. It’s still fun, but comes with a laundry list of caveats that amount to it just not being as good as it set out to be. It would be nice to see a sequel try to iron out the problems. For a story-driven hack and slash game, you can definitely find worse ways to spend your time. The story is surprisingly good, and there’s even two endings. The combat can be a little repetitive at first, but it opens up just enough to keep you going, with enough variety to see you through to the end. Combat starts off fairly basic, but eventually revolves around using a combination of three weapons which you’ll level up over the course of the game to unlock new combos rather than sheer power. Sword, whip, and fist attacks can be combined to fend off enemies with a range of combos which are either generally useful, or highly situational. Combos rarely get a chance to shine as enemies either die too quickly or – more likely – move out of the way. The levels themselves aren’t all that varied in appearance or structure, but they do have a few unique rooms that seal off and trap you with a few enemies until you manage to complete some sort of basic puzzle. Occasionally you’ll encounter rooms like that which make enemies invulnerable to everything apart from the colour of weapon that they’re sheathed in. It’s not much, though it it adds a little variety to what would otherwise become quite tedious. It’s enjoyable enough and doesn’t overstay its welcome by any means. It’s manageable even on the hard difficulty thanks to a fair number of checkpoints, so there isn’t much of a barrier to keep you from progressing through the story. It’s not a deep story per se but it’s interesting enough, and it pays off regardless of your choices, leaving us neither pining for more nor wishing there was less.